For more than 150 years, the Winchester name has represented pride, heritage, and quality in the shooting world. Still one of the most recognized and respected names in the industry, Winchester delivers cutting-edge hunting performance in their Supreme Elite Dual Bond line. 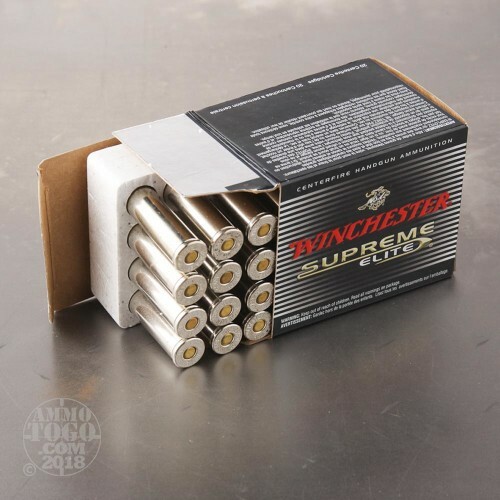 This package contains 20 rounds of Winchester Supreme Elite .460 Smith & Wesson Magnum ammunition. Each round is loaded with a 260 grain dual bond hollow point projectile. This revolutionary “bullet within a bullet” features a unique 12-segment design that delivers massive terminal expansion. 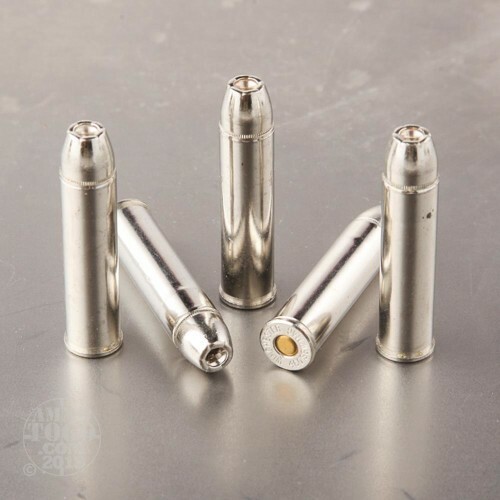 Each projectile is manufactured using a proprietary bonding process that welds the inner jacket to the lead core and fuses the heavy outer jacket to the inner bullet. The result is impressive weight retention and dependable penetration even through thick hide and tough bone. 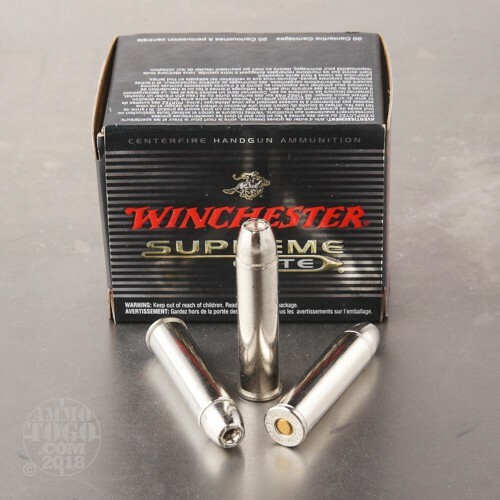 The large hollow point cavity delivers effective stopping power at a variety of ranges and impact velocities to produce quick and humane kills at almost any distance. 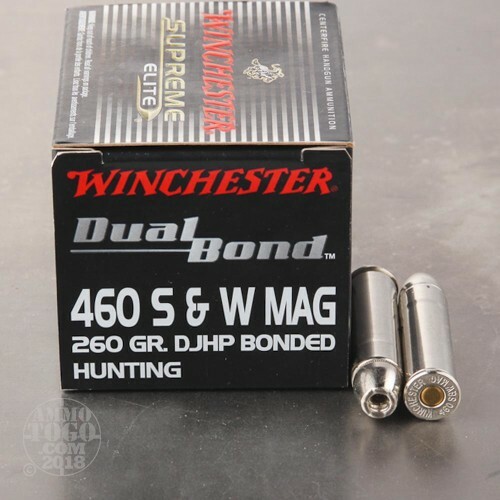 This new production ammunition is perfect for hunting whitetails, antelope, mule deer and other medium to large game with your big bore .460 S&W handgun. Each round is boxer primed, non-corrosive, reloadable, and features nickel-plated brass casings. Leaving the muzzle at a velocity of 2000 feet per second, each round produces 2309 foot pounds of deer-dropping muzzle energy.